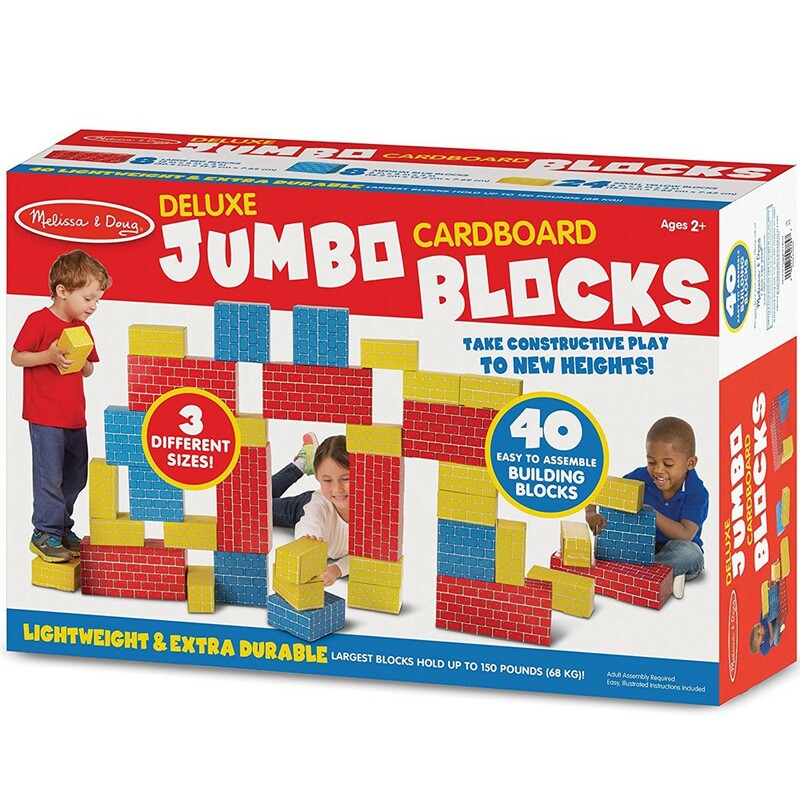 Build, play and enhance motor skills and creative development with the Deluxe Jumbo Cardboard Blocks 40 pc Building Set by Melissa & Doug. 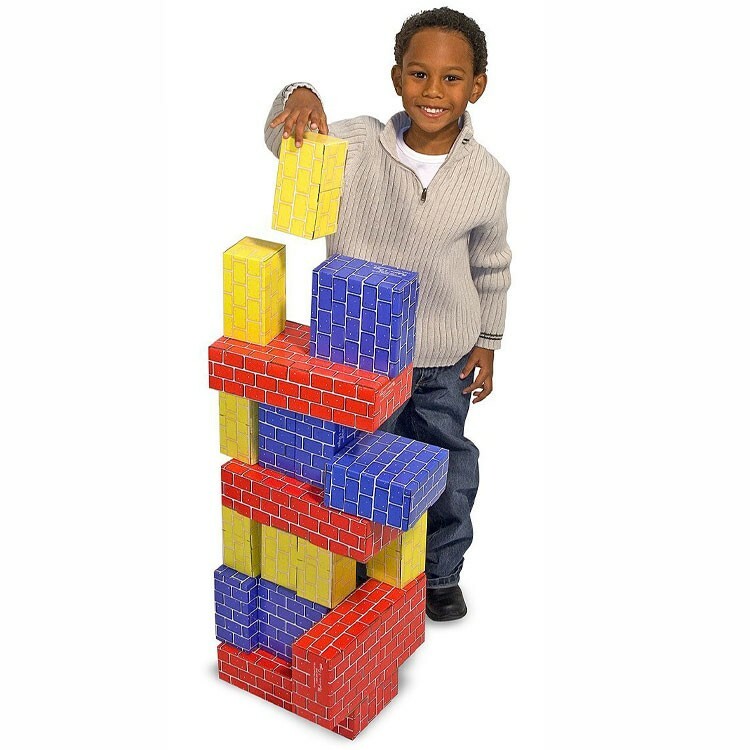 Building developmental skills is simple with our wide selection of building blocks! 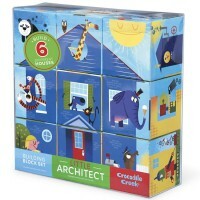 Promote motor skills and creative development with the Deluxe Jumbo Cardboard Blocks 40 pc Building Set by Melissa & Doug. 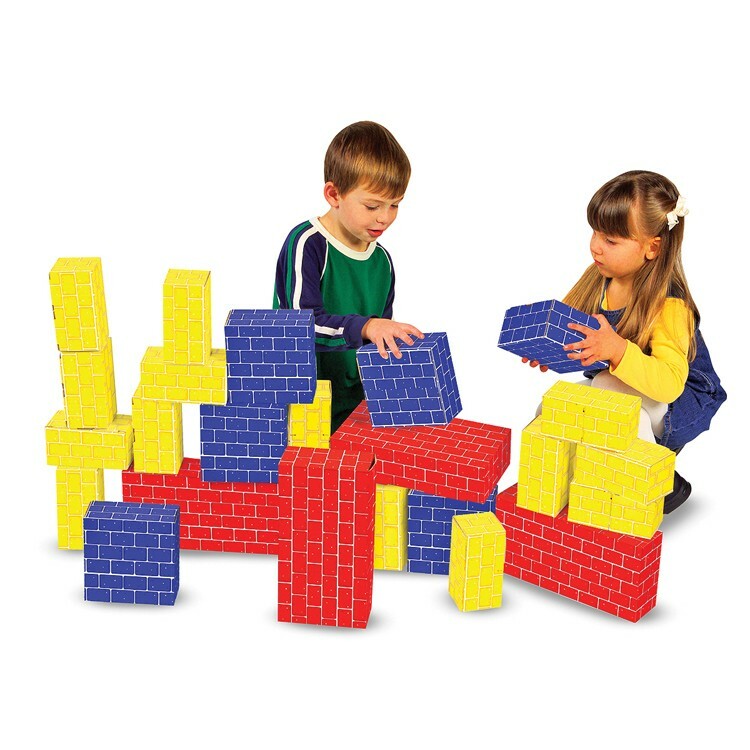 These durable building blocks allow children to experience constructive play at its best! 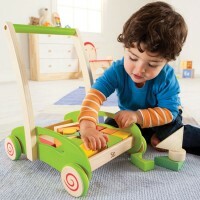 This fun toddler building toy includes 40 durable cardboard blocks in 3 different sizes and primary colors. 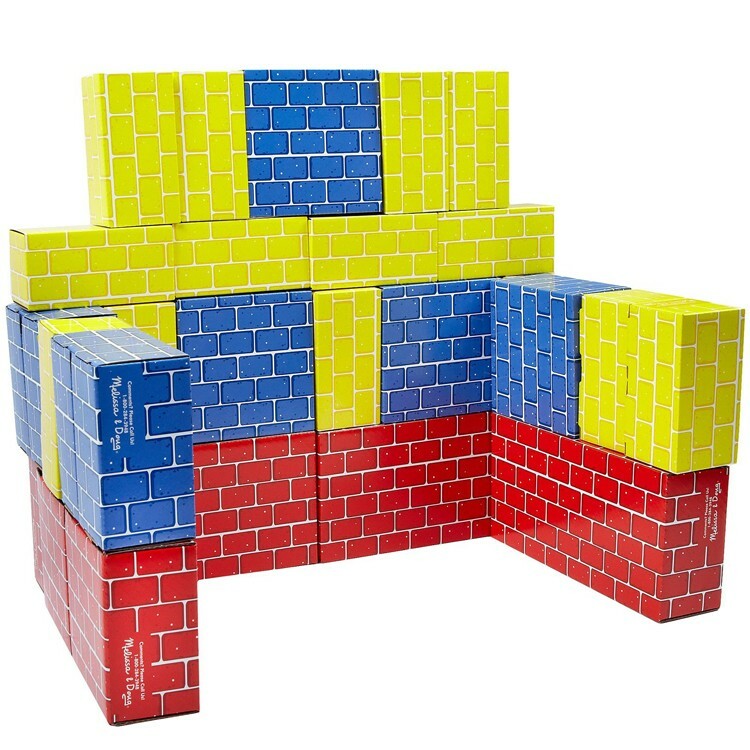 The set contains 8 large red blocks (12 x 6 x 3 inches), 8 medium blue blocks (6 x 6 x 3 inches) and 24 small yellow blocks (6 x 3 x 3 inches). 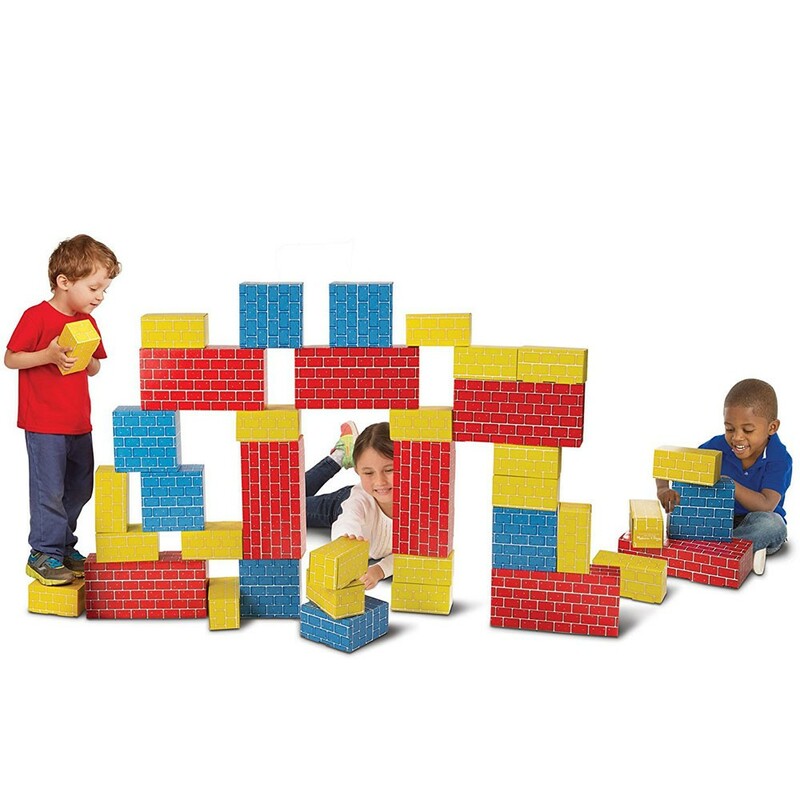 Build your own brick wall with these terrific cardboard blocks and have hours of imaginative play. 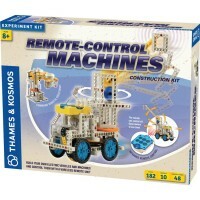 The construction brick kit includes easy to follow instructions to assemble the blocks. 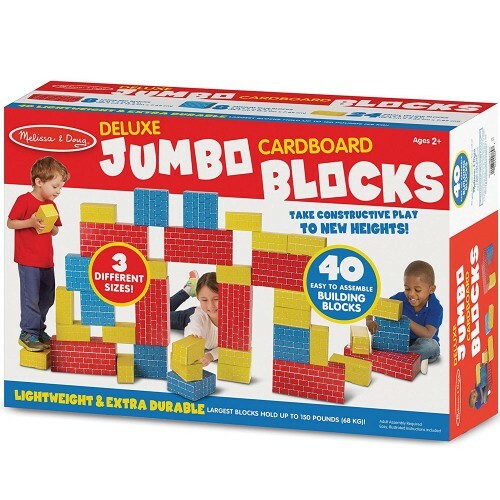 Dimensions of package 19" x 7" x 12.5"
Write your own review of Deluxe Jumbo Cardboard Blocks 40 pc Building Set. 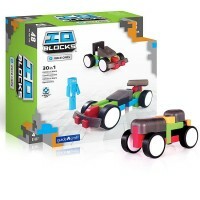 Rating: 5 Great block set by Jessica G This is ideal for toddler because the blocks are large and easy to handle. 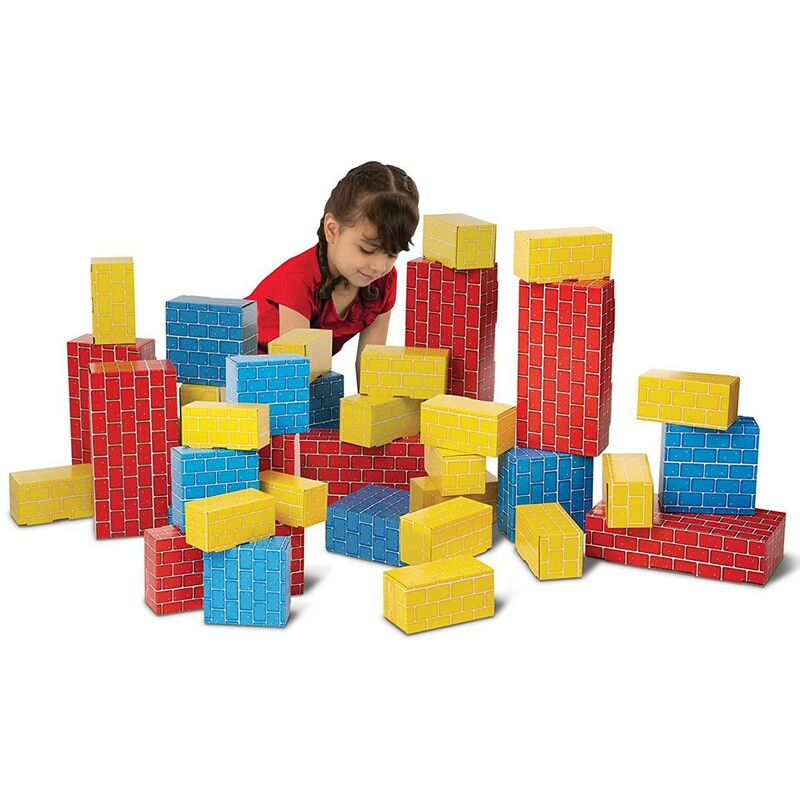 They can work on both fine and gross motor skills while building with these blocks. 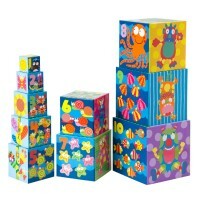 They can also practice color recognition, counting and more. 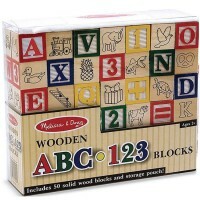 The brick pattern makes them seem more realistic and the blocks are very sturdy and durable. 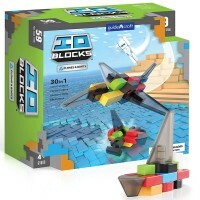 40 pieces is the perfect number of blocks, as well, because it is just enough for a small child to build with without there just being an overwhelming number of blocks and a HUGE mess. Perfect for home or school! Rating: 3 Cute but not sturdy by Jessica G Primary colors keep it gender neutral and the design is classic and cute. 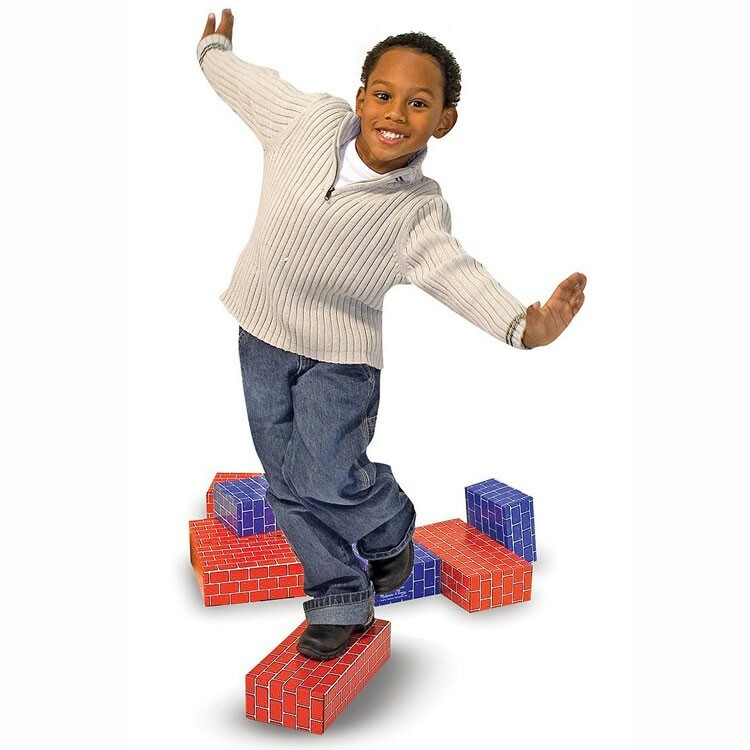 However, the blocks are a bit less durable than one would expect from M & D. They are fine for a few months or maybe even a year but probably won't last your family for years and years. 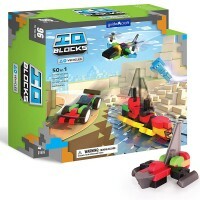 Also, if your child loves to build with LEGOs, they may be turned off by this type of block. 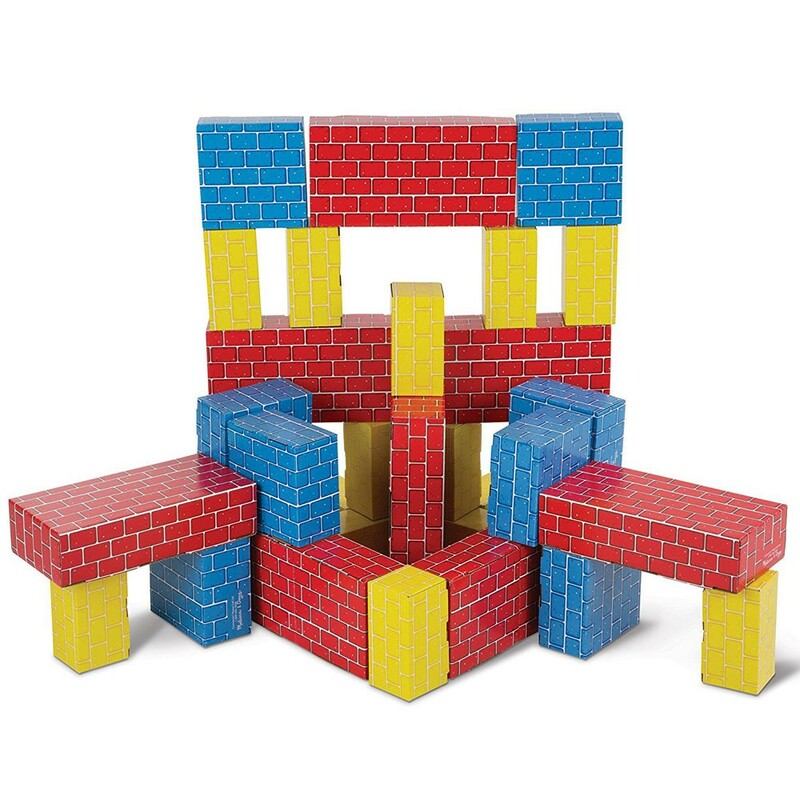 These blocks are only really suitable for smaller children. Rating: 3 by kelly, PA Blocks aren't as sturdy as I had hoped. Rating: 5 by Heidi, PA Very sturdy cardboard, sure to last YEARS! 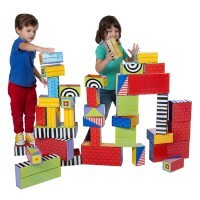 I have two boys and bought 80 blocks for imaginitive play. They have built a 'yellow brick' road, store counters, towers and MANY other things since Christmas 2010. I plan on buying more as this toy is great! 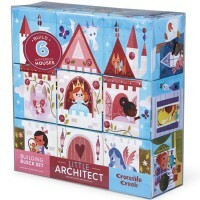 Rating: 5 by Jacqueline Mikes, FL This is a Christmas gift for a 3 year old.